Our COO Zack Ross is the third generation of our multi-generational family business. Zack started in the family business as a site labourer, and over the course of a decade has worked his way up to head office. As a passionate and knowledgeable leader, Zack has a mind for data and an eye for detail. 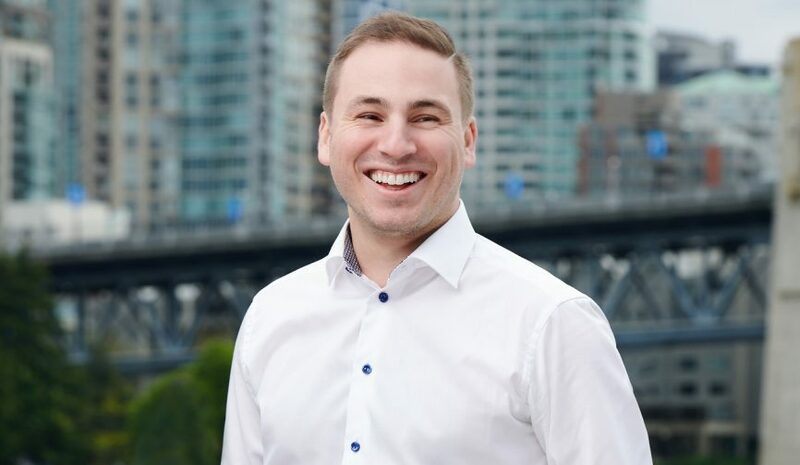 As a graduate of UBC’s Integrated Engineering program, Zack focuses on business development and company growth, while overseeing ongoing business operations within the company and its various departments including, acquisitions, development, construction, finance, and asset management. Zack is an avid pilot, using his pilot’s license for exploring the skies and getting the team to new development sites. We spent some time speaking with Zack about what motivates him as a developer. As a developer, what is your favorite part of the day? The fact that every day I get to work with a dynamic group of people in different industries, all with different strengths, collaborating towards a common goal of providing creative and unique spaces for people to live and work. This is one of the most fascinating and rewarding careers. What is one big goal that you would like to accomplish in your lifetime? I want to create a non-profit housing society in my grandparents honour to provide livable housing for young families. I’m so proud of everything that my grandparents have done for the Greater Vancouver area, behind the scenes, with no fanfare or a desire for acknowledgement. What kinds of projects inspire you and why? Projects that inspire me are ones that have meaning and connection to the immediate community and when that is clearly visible, it is a work of art.